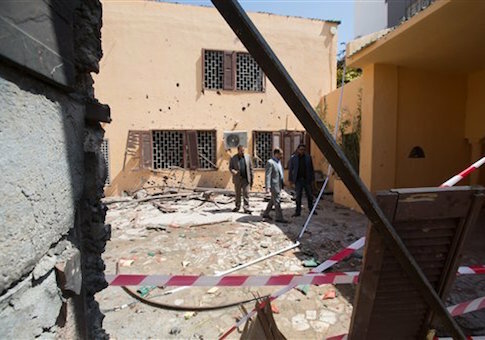 "They first moved into Libya at the height of their so-called ‘caliphate,’" the official said. "ISIL operatives are in Libya because terrorists have access to ungoverned space, weapons, new potential revenue streams, and fighters willing to rally around the ISIL brand." ISIL is an acronym used by the U.S. government for the Islamic State, which is also commonly referred to as ISIS or IS. Losses by the group in Iraq and Syria don’t "reflect the group’s long-held and continuing expansionist agenda," the official said. "The truth is, IS has a clear strategy to expand its influence and control beyond Iraq and Syria," said Gorka, the Horner chair of military theory at Marine Corps University. "It already has official affiliates in Asia and even west Africa," he added. "Now that the new caliphate approaches its second anniversary, it is essential for [ISIS leader] Abu Bakr al Baghdadi to demonstrate that his empire can expand into new territories." Gorka said current ISIS strongholds in Syria and Iraq are a "giant forward operating base" used for launching new attacks in other areas, in North Africa, the Middle East, Europe, or the United States. "That's like a chess player only focusing on what goes on in one or two squares rather than the whole board," Rubin said. "The simple fact is that we need a strategy to counter the Islamic State not only in Iraq and Syria but also in Libya, the Sinai, Afghanistan, Nigeria, and an ever growing list of countries." Rubin said "ego and myopia" in the White House are to blame for the failure to counter ISIS. "Simply declaring the Islamic State is neither Islamic nor a state until we're blue in the face is not a strategy," he said. "We are living close to a powder keg," Casini told Italian newspaper La Nazione. "The more the birth of a government is delayed, the more threats will multiply. Their number will be reduced only when the government takes office. From now until that point, we are in no man's land. Nerves of steel are required." "ISIL is reinforcing its positions in Libya," the newspaper stated in a Jan. 8 commentary. "Al Qaeda still has its factions there. The danger is growing for the countries of the region, and Europe will not tolerate this situation much longer because the danger is concentrated on the other side of the Mediterranean." "The situation is becoming more dangerous now," the newspaper warned in a Jan. 8 commentary. 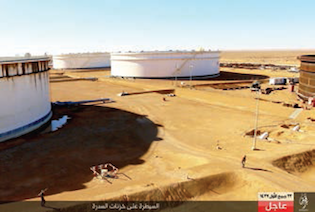 "ISIL fighters have reinforced their presence in the port of Sirte, and they are now mounting a serious attack to control the so-called oil crescent, in the ports of Sidra and Ras Lanuf where most of Libya's oil production is based." This entry was posted in National Security and tagged ISIS, Libya, Syria. Bookmark the permalink.